Bollywood: Karan Johar has fat fingers! HomeShah Rukh KhanBollywood: Karan Johar has fat fingers! 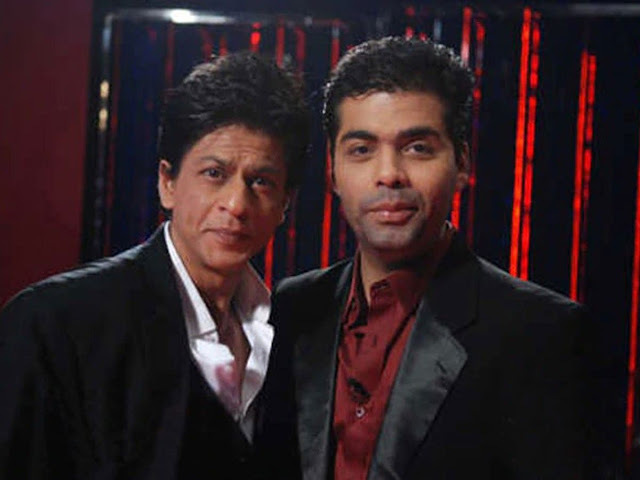 Karan, who had been vocal about his affection towards SRK, issued an apology soon after. 'Guys having a technical problem with my Twitter account. Strange things are going on. From uploading shoe picture and gibberish to liking tweets I haven't even read and would NEVER even acknowledge. Please bear with me and I apologise for any inconvenience. Sorting it out asap,' he posted. The post, which landed the director in trouble, compared the Day One box office performance of Shah Rukh's Zero with Karan's production, Akshay Kumar-starrer Kesari. The tweet by a user called Mannu Yadav read, 'Half day colls [collections] of Kesari on Holi day (which is worse than pre diwali day) [is] greater than Zero full festival day collection'. Karan has since unliked the tweet. SRK, ever generous, had a witty response to the controversy and said he hated clarifications on social media. 'Karan Johar is technologically challenged but has other good qualities like his taste in clothes!? Just like life, Twitter does not come with instructions, so mistakes are natural... and also he has fat fingers. Go easy all, Make Love not War... It's more fun', SRK tweeted.